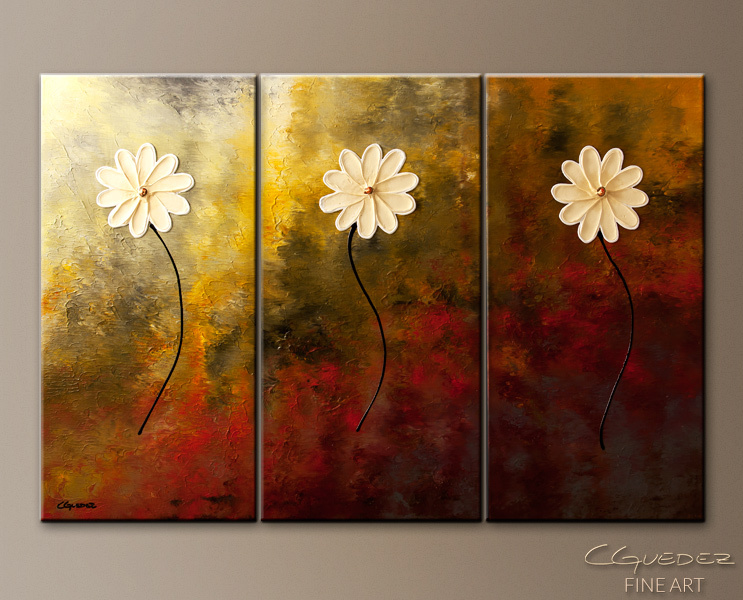 Keep the 'Faith, Hope, Love'. 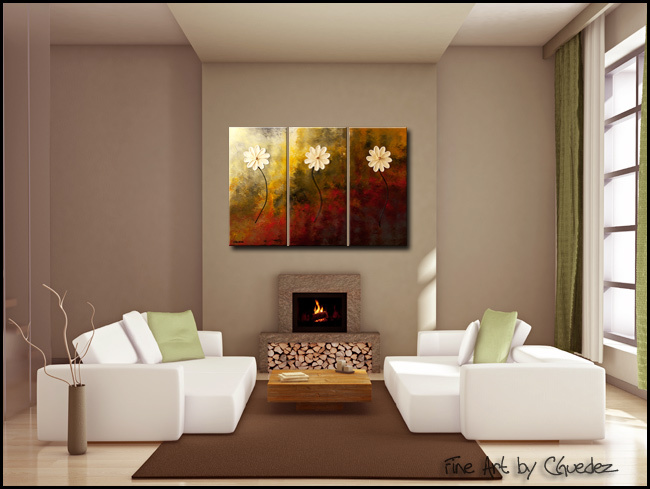 This beautiful floral abstract art painting set of three canvases is a focal point. 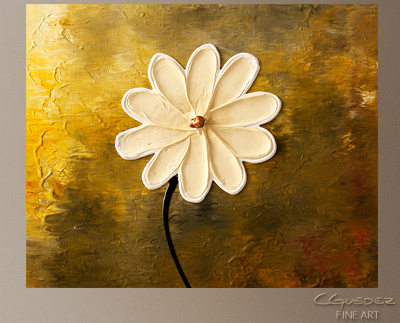 Each canvas features a large white textured flower to draw the attention.